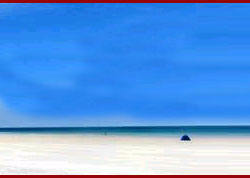 High Season : is mid - April to mid - July, mid - September to late October and mid - December to mid - January. The best time to visit is mid - September to late November. Introduction : Shimla was once part of the Nepalese kingdom and called Shyamala. 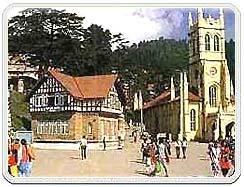 In 1864 Shimla became the summer capital of India. Following independence, Shimla was initially the capital of the Punjab, then became the capital of Himachal Pradesh in 1966. Today, Shimla is a pleasant, sprawling town, set among cool pine-clad hills with plenty of crumbling colonial charm. High season is mid-April to mid-July, mid-September to late October and mid-December to mid-January. The best time to visit is mid-September to late November. Shopping : The Himachal Emporium on the (eastern) Mall has a reasonable collection of local handicrafts. The Tibetan Refugee handloom shop, at the other end of the Mall, is the showroom for a local development project and sells carpets, clothes and other Tibetan crafts. Entertainment : Probably the most popular, and best, entertainment is to stroll along The Mall and The Ridge. This is especially pleasant in the evenings when the views and lights are wonderful. The lovely old Gaiety Theatre often has some shows or racitals, particularly in summer. Travel Info : Private airlines operates flights from Shimla to Delhi. The HPTDC offers daily buses in season to Manali, Dharamsala, Delhi and Lahaul & Spiti. The train journey to Shimla involves a change from broad gauge to narrow gauge at Kalka, a little north of Chandigarh. Located at the (Eastern) Mall. Both Indian and Western food are served. Services good. Prince same as at the Alfa. Also on the (Eastern) Mall. Favourite lovers of South Indian dishes. At Scandal Point. Famous for Indian and Thai foods moderately prices. Another joint on the (Eastern) Mall. A very good cheap options. Famous for Channa, Chhola, Bhature and other spicy dishes. Near Scandal Point. Noted for its fast food. A bit costlier. A self service restaurant, near the (Eastern) Mall. Favourite with pizzas and hamburgers lovers. Also serve Indian and Chinese dishes. For Indian food and cheap pizzas. For those who want to eat in luxurious surroundings. RS 300 (approx) plus 8% tax is what you pay for a set menu. Another place to eat near the (Eastern) Mall. Pay just RS 50 (approx) for a good pizza. Milkshakes, breakfast and late evening musical shows are other attractions. 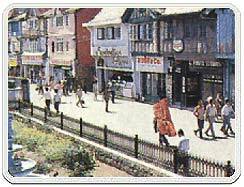 The Mall : The Mall is the main shopping centre of Shimla. It also has many restaurants, clubs, banks, bars, Post Offices and tourist offices. The Gaiety Theatre is also situated there. People walk up and down the Mall slowly, stopping to gossip, as it is the main meeting place for everyone. The Ridge and Scandal point are the two main meeting points at the Mall. Christ Church Situated on the Ridge is Christ Church, which is the second oldest church in Northern India. It has a very majestic appearance and inside there are stained glass windows which represent faith, hope, charity, fortitude, patience and humility. Christ Church is a place all visitors should spend some time in. The Museum, which was opened in 1974, has tried to project hill-out and the cultural wealth of the state. There is a collection of miniature Pahari paintings, sculptures, bronzes wood-carvings and also costumes, textiles and jewellery of the region. Situated at a distance of 5 kms. from the Ridge is the lovely township of Summer Hill at a height of 6,500 ft. on the Shimla-Kalka railway line. Mahatma Gandhi lived in these quiet surroundings during his visits to Shimla. Himachal Pradesh University is situated here. 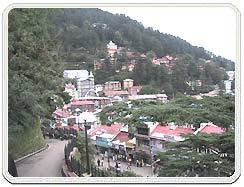 Annandale Developed as the playground of Shimla, Annandale is 2-4 kms. from the Ridge at a height of 6,117 ft. It is a favourite spot for cricket, picnics and the princely game of polo. 22 kms. from Shimla and surrounded by beautiful deodar trees. Naldehra has a well kept nine-hole golf-course. It is a lovely, popular picnic spot. The annual Sipi fair in June is held in Naldehra. The temperature range is not very high and the maximum temperature rarely crosses 25�C during summers. 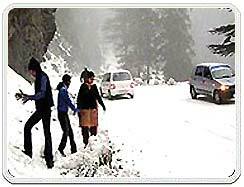 Winters are cold due to the chilly winds from the upper Himalayas and Shimla experiences quite a heavy snowfall. 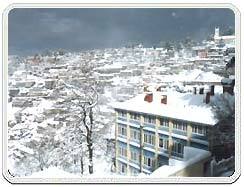 Around Christmas or last week of December Shimla gets snow. 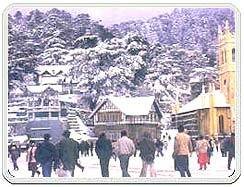 The best season to visit Shimla is between September and November. Air : Shimla's own Jubbarhatti airport is connected by small aircrafts with Delhi, Chandigarh and Kullu. Chandigarh is major airport on the plains near Shimla. Rail : Kalka near Chandigarh is the main broad gauge station near Shimla. Shimla has its own narrow gage railway link with Kalka. The slow and pleasant mountain trains from Shimla are timed with main trains at Kalka that further link to main cities of India. Road : A good highway connects Shimla with New Delhi and Chandigarh on one side and higher reaches of Himachal Pradesh like Manali on the other side. There are several deluxe buses in summer months connecting Shimla with New Delhi and Manali.